Note: Click on 4-letter observation codes and you'll get the latest observation. 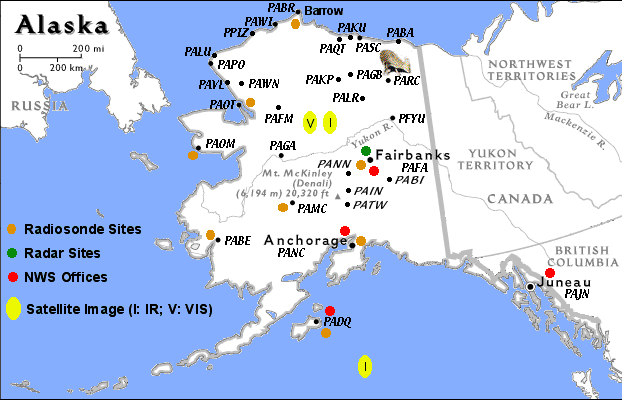 The identifier for forecast discussions covering Fairbanks is PAFG. The Anchorage NWS Office Web Page has model graphics for Alaska.